As I have already mentioned in one of my previous posts, I was lucky enough to take part in a prize trip to Corfu. Since transport to the location was not a part of the deal and this was a more or less a last minute trip, I had to do some research to find the most affordable mean of transport from Slovenia to the Greek island of Corfu. Flights from nearby airports (e.g. Ljubljana, Venice) were either full or too expensive, so I had to search for alternatives. I found out literary the only alternative was a ferry. There were a few options, but Venice seemed the most reasonable - it is the closest to Slovenia. You can expect a lower price if you book way ahead of time and if you can afford adapting your schedule for a day or two. We had to settle for the prices on the date of our scheduled departure. 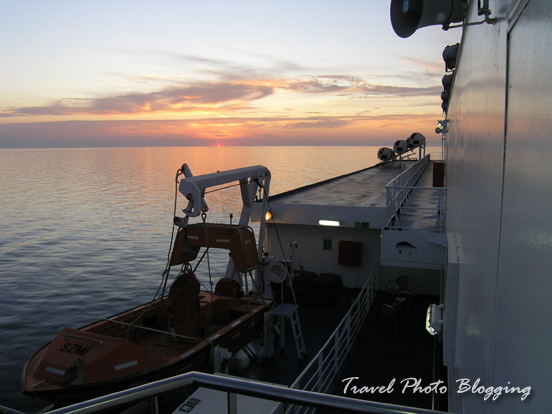 Generally there are two ferry companies you should check out when traveling from Italy to Greece: Minoan Lines and Anek Lines. For a moment we were even thinking of taking a car with us on the ferry. We saw many German and Italian cars on Corfu so I guess this is also a thing to consider. We decided to rent a vehicle when we get there. We opted to travel as deck passengers, which is the cheapest option. If you are thinking of renting a cabin you can get a really good offer (substantially lower, compared to web prices) when the ferry is already on the way. Use your haggling skills to your advantage. However there is a risk involved when traveling in high season - there might be no room left by the time ship sets sail. Usually there are also "Airtype Economy Seats" available, but in my opinion those are much more uncomfortable compared to simply sleeping in a sleeping bag on the floor. In the end we were happy with our choice - we really enjoyed sleeping under the stars with a light sea breeze in our hair. There is also a free bonus when taking a ferry from Venice. Even if you don't get to stroll through the streets of this charming Italian city, you get a great view from the deck of your ferry. To my surprise the ferry passed right by the famous Piazza San Marco (St Mark's Square). We got another chance to take beautiful photos on our way back. Even though this may be the cheapest way to get to Greece from northern Italy, one should be aware this type of transport takes quite some time. It took us 26 hours to get from Venice to Corfu. 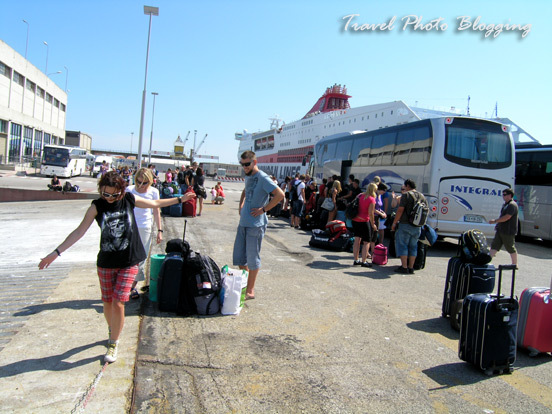 Since Corfu is the northernmost Greek island, you can expect the travel to other Greek islands to last even longer (e.g. it takes more then a day and a half to get from Venice to Crete and it also includes switching ferries). We did not mind the long journey. We simply tried to have fun from the first minute on the road and I think we did a great job. When you are travelling with the right group of people, you can always count on having a great time. That last photo is simply gorgeous!! 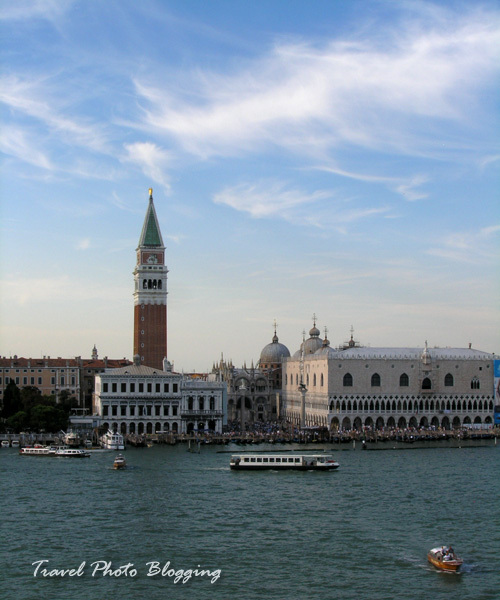 So did you drive from Ljubljana to Venice and then catch the ferry from Venice? It sounds like a gorgeous way to travel. We took the opportunity to join a tour group bus from Ljubljana to Venice (and back) for a really small fee. A much better option then paying for car parking in Venice. Thanks so much for leaving your comment and tip on my blog about Slovenia - I can't wait to visit your amazingly beautiful country!